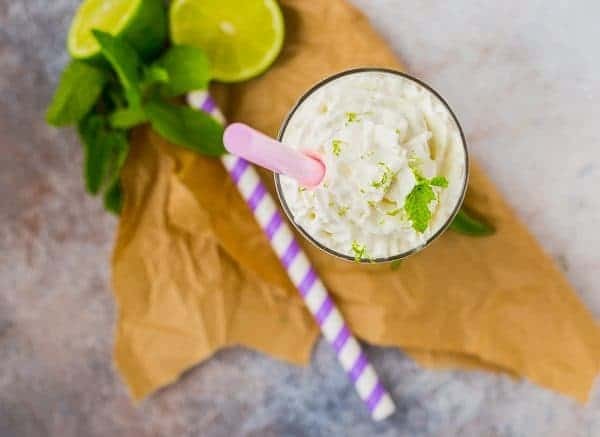 A mash-up of a vanilla milkshake and a mojito, this mojito milkshake is absolute summer perfection! You’ll love the flavors of a mojito in a decadent summer treat. Every time I tell my mom about this recipe she gives me the weirdest look. I mean, it’s not unusual for people to give me weird looks, but you guys — this is a MOJITO MILKSHAKE. 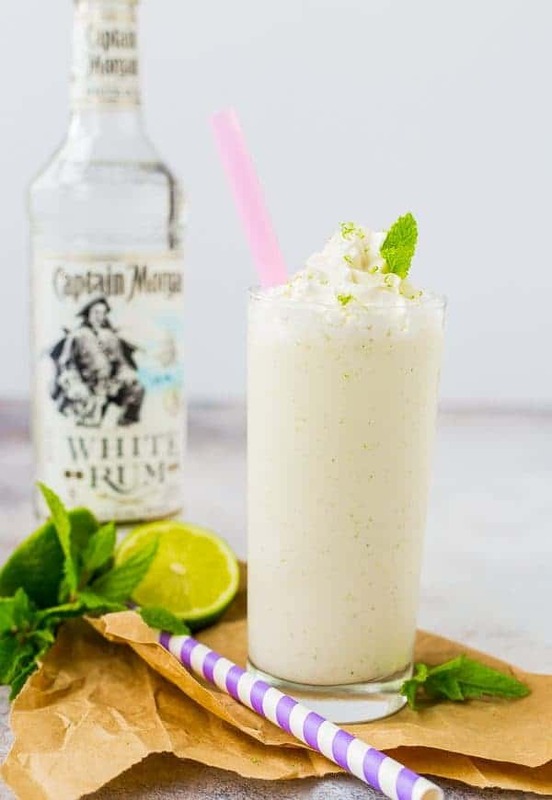 If a mojito and a vanilla milkshake had too many mojitos and had a baby, it would be this refreshing summer treat. I mean, does that really sound that strange? There’s a simple solution to this. 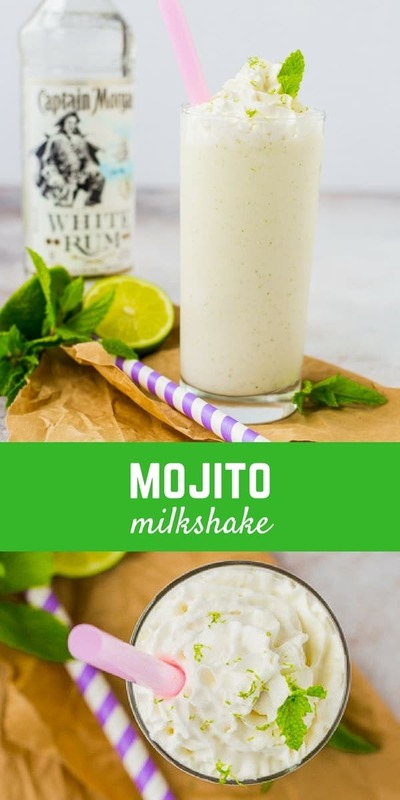 I need to make this mojito milkshake for her. Then she’ll see me for the summer-beverage-genius that I am. I’m going to need you all to do the same. 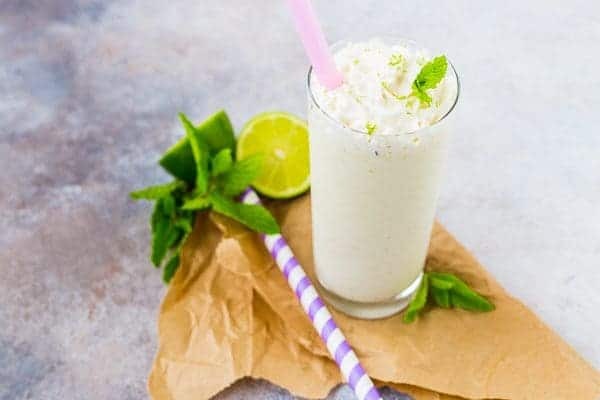 If you love mojitos, or if you love milkshakes, you need to try this mojito milkshake. This doesn’t have a lot of booze in it, but if you’re not a drinker, you’ll still get a lot of great flavor from the mint and lime and vanilla ice cream without the addition of rum. It’s ultra-refreshing and such a great summer treat. I bet you can guess how that all panned out. I’ll say this, they were biiiiig sips. For example, my mom had a BBQ last week and we were having ice cream sundaes for dessert. My aunt brought an assortment of toppings, including peanut M&Ms — one of my favorite things. They’re something I don’t keep in the house because I have no self-control whatsoever. I don’t love or crave ice cream usually (I’m a weirdo, but it makes my teeth hurt! ), so I opted for a handful of peanut M&Ms instead of an ice cream sundae. Okay, maybe two handfuls. If you make smart choices and only choose things you really enjoy, you can have all those things you enjoy in moderation! No need to deprive ourselves, right? Anyways, long story short, these milkshakes were worth every single sip. 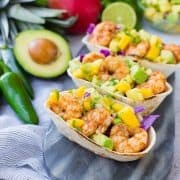 Make them! PS: Glasses are from Target — but they are on the fragile side. Or maybe I’m just a bull in a china shop. 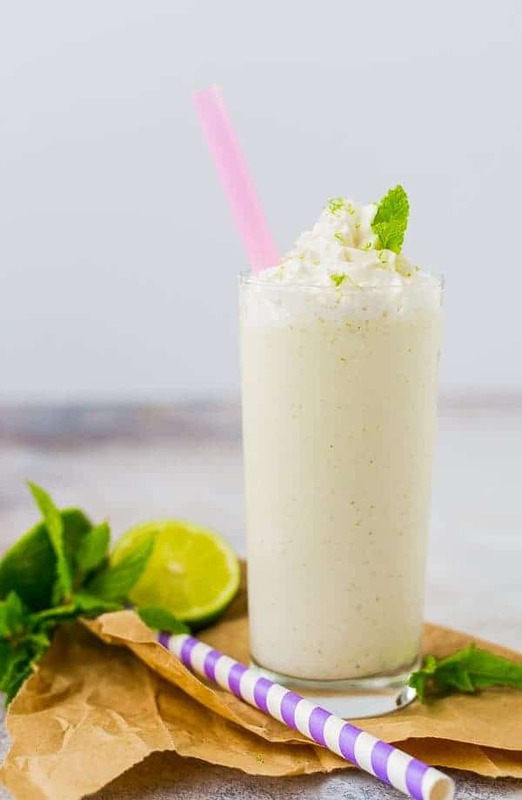 Make this mojito milkshake today! Blend all ingredients except whipped cream and garnishes in a blender until smooth. Add more ice cream or milk as needed to achieve desired consistency – more ice cream if it’s too thin, more milk (or rum!) if it’s too thick. 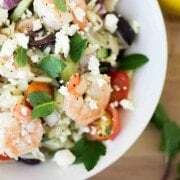 If desired, serve topped with whipped cream, lime zest and a fresh mint leaf. Serve immediately. Verdict: I’m obsessed with this mojito milkshake. Husband’s take: He’s such a traditionalist and would probably prefer this peanut butter banana chocolate milkshake, but he didn’t complain. 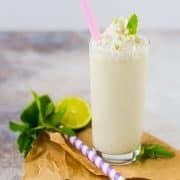 Disclosure: I have been compensated by Milk Means More for my time to develop this mojito milkshake recipe and write this post. All opinions are as always, my own. Find out more about why Milk Means More on Twitter, Facebook, YouTube, Instagram and Pinterest. This sounds so refreshing! 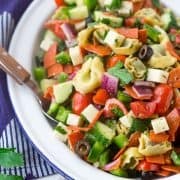 I need to make a dairy-free version for myself! Yes! I hope you love it! Let me know how it turns out! This is really fantastic. I can’t believe I’d never even thought to do this. But I will now. Thanks! !